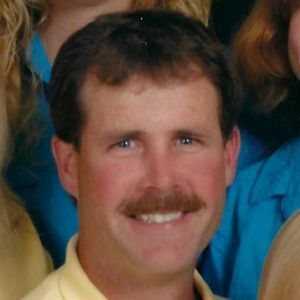 Brett A. Roggenbauer, age 52, of Burnett passed away unexpectedly on Monday, April 1, 2019 at his home. A funeral service for Brett will be held on Saturday, April 6, 2019 at 11 a.m. at Zion Lutheran Church in Horicon with the Rev. Daniel Vojta officiating. A visitation will be held on Friday, April 5, 2019 from 4-6 p.m. at Zion Lutheran Church in Horicon and again on Saturday, April 6, 2019 at the church from 9 a.m. until the time of the service at 11 a.m. Burial will take place at Oak Hill Cemetery in Horicon. Brett was born the son of Marvin and Judy (Pfister) Roggenbauer on January 4, 1967 in the town of Beaver Dam. He was united in marriage to Deborah Schmude on March 25, 1989. Brett was employed at We Energies for over 30 years and was always willing to work no matter how long the shift or how dangerous the weather to provide for his family. To say that he was a hard worker is an understatement. Brett helped anyone who asked and set an example for his 3 daughters as being the go-to person for anything. He never backed down from a challenge whether that be with fixing cars, plumbing, electrical work, roofing, remodeling houses, building sheds, bailing hay, woodworking, you name it. Brett even designed and built the beautiful house that his family lives in. Everything Brett did he exceeded at it. He loved the outdoors and enjoyed hunting, fishing, golfing, cutting trees, hauling wood, or just spending time with his family. He was incredibly athletic and loved playing sports and watching his youngest daughter play basketball. There are few people as driven and dedicated as Brett and he will be greatly missed. His contagious smile and sense of humor brightened people's day wherever he went. He is survived by his wife Debbie of Burnett. His daughters- Amanda (fiancé Ian Jessup) Roggenbauer of West Bend, Alissa (significant other Tyler Vick) Roggenbauer of Columbus, and Amber Roggenbauer of Burnett. His mother Judith of Burnett. His brothers- Brad (Bill) Roggenbauer of Milwaukee and Buddy (Amy) Roggenbauer of Brillion. His niece Kristen Roggenbauer of Brillion. His brothers in law- Jeff (Rhonda) Schmude of Horicon and Bryan (Laura) Schmude of Horicon. He is further survived by other relatives and many friends. He was preceded in death by his dad Marvin. Memorials may be directed towards his daughter Amber's education. Add your thoughts, prayers or a condolence to Brett A. 's guestbook.